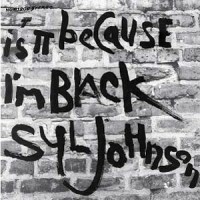 Ten years into his role as poster boy for pop soul and peak-hour R&B, Syl Johnson did an unlikely about-face and cut his most inspiring and powerful album. The title track, coupled with the politically charged “I’m Talking About Freedom” and ghetto conscious “Concrete Reservation” sealed the album’s political bonafides. “Right On,” “Together Forever,” “Come Together,” and “Black Balloons” are positively uplifting, forming their own pot of gold at the end of a grayscale rainbow. Fifty years later, Is It Because I’m Black is still as relevant as the day of its release. No liner notes. No extra tracks. Just the greatest Black concept album of all time.